GoHorse.com Can Help during Horse Evacuation Disasters! 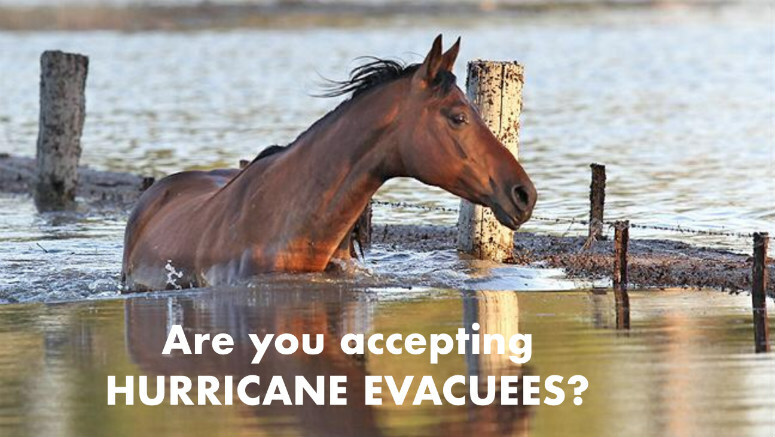 With Hurricane Florence on our doorsteps horse owners are mobilizing to create their plan for horse evacuation. The creators of GoHorse.com have reacted quickly to help. They have a central horse business directory that lists over 8,500 horse barns across the US. Today (9/10/2018) they have launched a new feature for their barn and stable owners which allows them to easily display whether or not they can help during horse evacuation emergencies. People coming to the site to search for available barns can now filter specifically for barns willing to help during a horse evacuation. “Literally all they have to do is go to the gohorse.com main page, then search for whatever city they need to know about.” To really target their inquiries, they can use the filter to narrow their search. Otherwise, they can look at all the listings and start contacting places that may be willing to help them on a short term basis through the crisis. Once on the listing page, just press the filter button and then choose to see specific categories. In this instance searchers will probably want to search for “Hurricane Evacuees Welcome”. Otherwise they can also search for “Overnight Board” as any of these facilities should be able to accommodate short-term needs. GoHorse is very interested in responding to the needs of the market, so this national disaster is just one of the examples of how the company will flex toward supplying features to meet market needs. Two months ago the company introduced the “boarding availability” feature which allows barns to advertise and hightlingh their facility when they have openings, and then remove that indicator once they are full. Visit www.GoHorse.com now and search for your city. “You’ll be surprised at how many businesses are in your area that you probably didn’t know about. And we are only about 15% complete across the US. In our home state of Georgia we now have over 1,400 horse facilities. It’s absolutely amazing the depth of the real market out there there could be 75,000 horse barns - nobody really knows at this point!” says Jenny Fudge, Owner. To add your barn to the evacuation location list, click here.